Create a project using the above sketch. 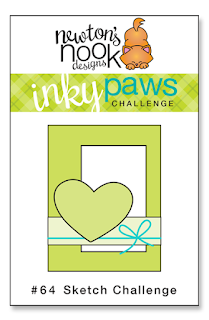 Are you ready to get your paws inky with us and play along to win a prize? 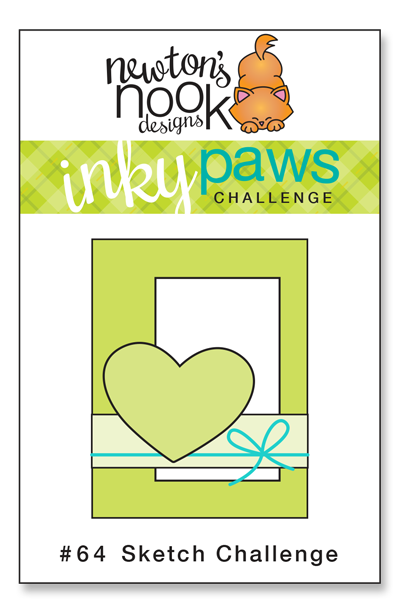 We will chose a RANDOM entry to win a $20 store credit to our Newton's Nook Design online shop! We will also highlight our favorites from each challenge the following Monday so all entries have a chance to be featured on this blog! You have TWO WEEKS to play along - Deadline to enter is Friday, February 2, 2018 at Midnight CST. The winners will be announced on the NND blog the following Monday. 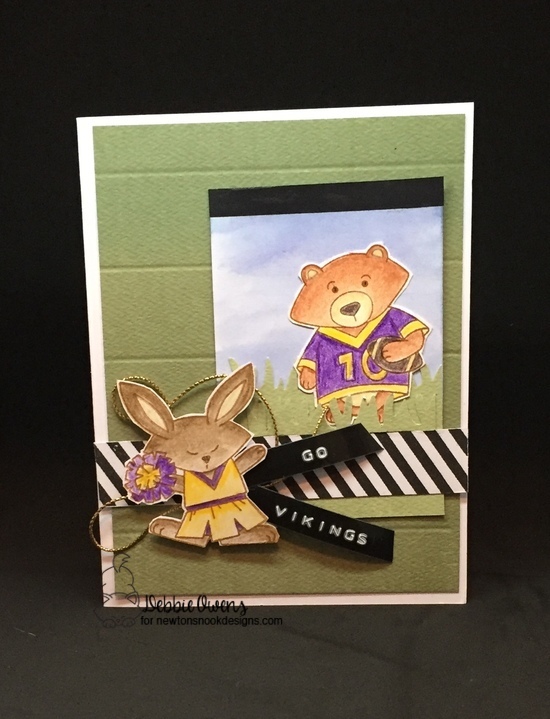 Debbie Owens gets us ready for the upcoming Super Bowl using Touchdown Tails stamp set. Love the referee stripes and embossed banner. No matter which team you are rooting for, you can cheer them on with this fun set! Diane Morales beautiful card has such a tropical flair and may have you yearning for a Pacific Island vacation! 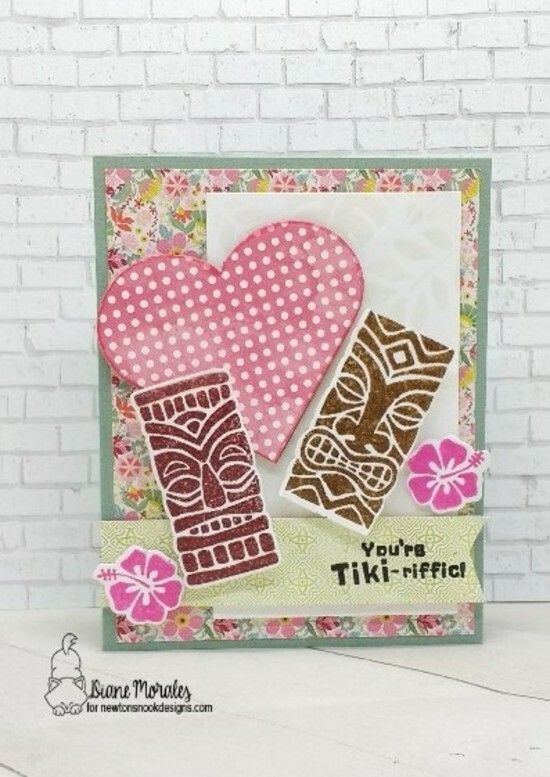 She uses two adorable tiki mug faces and flowers from the Tiki Time stamp and die set. She adds some subtle tropical leaves using the Tropical Leaves stencil. 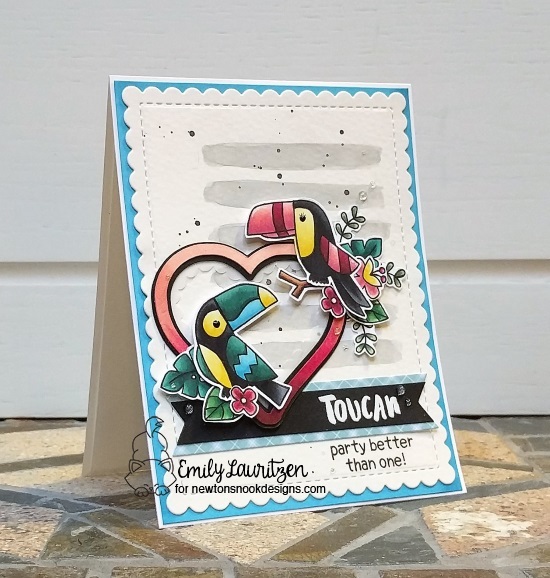 Emily Lauritzen creates a wonderful layered card using Toucan Party stamp set. I love the colors she used on the toucans. They look striking! 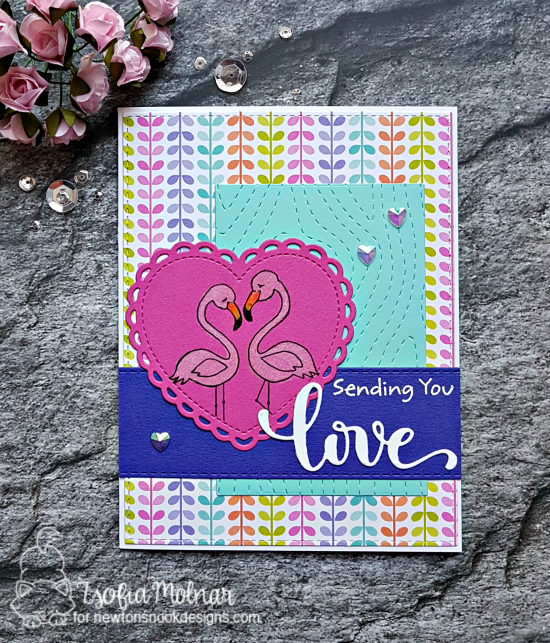 Zsofia Molnar created this adorable flamingo love card using those cute love birds from the Flirty Flamingos Stamp Set. So cute! 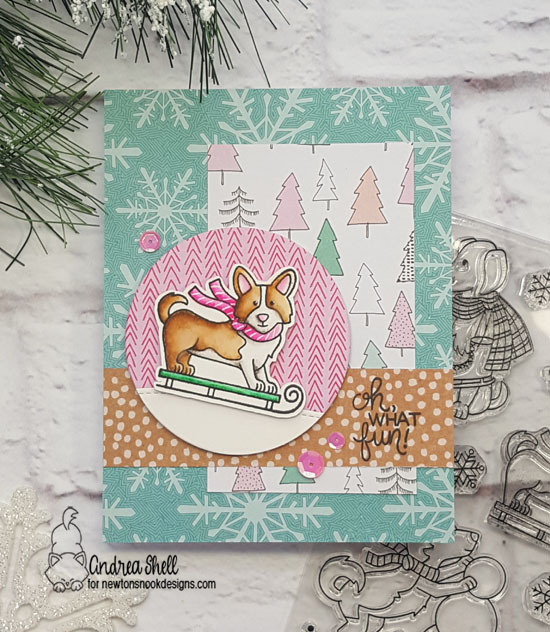 Andrea Shell combines these festive papers with Winter Woofs stamp set to create a fun, wintery scene! That corgi puppy looks like he is having a splendid time sledding! Super inspiration! Sketch challenges are one of my favorites. Thanks for another challenge and opportunity to win store credit.